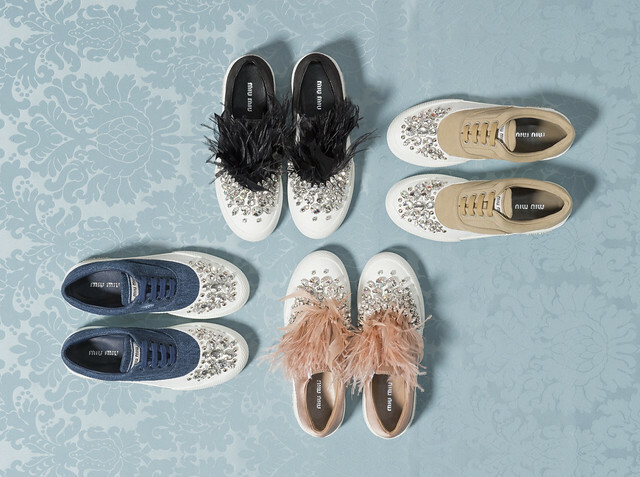 Miu Miu launches a series of elaborate skate shoes, Sport can be so Chic. Taking individuality and freedom of spirit as a starting point, this bold footwear is designed to lift spirits. The woman who wears Miu Miu is as fearless and emancipated as she is playful. fluttering feathers in shades from putty to black and densely studded with crystals.